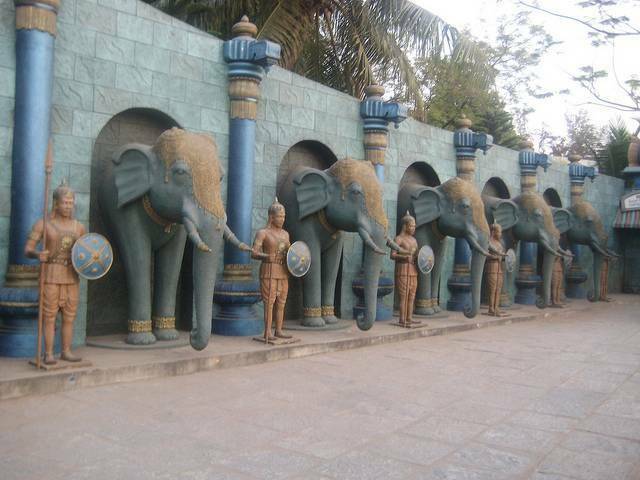 The VGP Universal Kingdom which is located on the East Coast of Chennai is constructed using the fairy tale theme of Chola Dynasty. The park was established over 45 acres of land on the shores of Bay of Bengal. The ride through water caves and broken fort like structures will reveal this fact. The entire park has various theme based rides and water sports. The structures are designed by an Australian Architect. Wave Pool, Lazy river, Tornado etc are some spin chilling activities of the park. Family rides and Kids rides will entertain all age group of people. Golden Chakra is a multi-cuisine restaurant which serves the tourists. One will be awed by 8 feet Masala Dosa and 4 feet Family Dosa which is served in VGP universal Kingdom. Beside this there are lots of eatery outlets and ice cream parlors throughout the park.